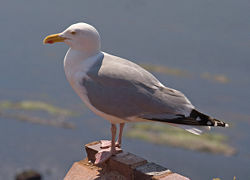 The European Herring Gull (Larus argentatus) is a large gull (up to 26 inches or 66 cm long), and is the most abundant and best known of all gulls along the shores of western Europe. It breeds across Northern Europe, Western Europe, Scandinavia and the Baltic states. Some European Herring Gulls, especially those resident in colder areas, migrate further south in winter, but many are stable residents, e.g. in the British Isles, Iceland, or on the North Sea shores. This entry was posted in Animals, Birds, Europe, Seas & Oceans and tagged Baltic, British Isles, Europe, Iceland, North Sea, Scandinavia on June 21, 2012 by Naturalist. 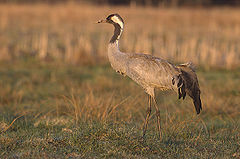 The Ordinary Crane (Grus grus), also known as the Eurasian Crane, is a bird of the family Gruidae, the cranes. 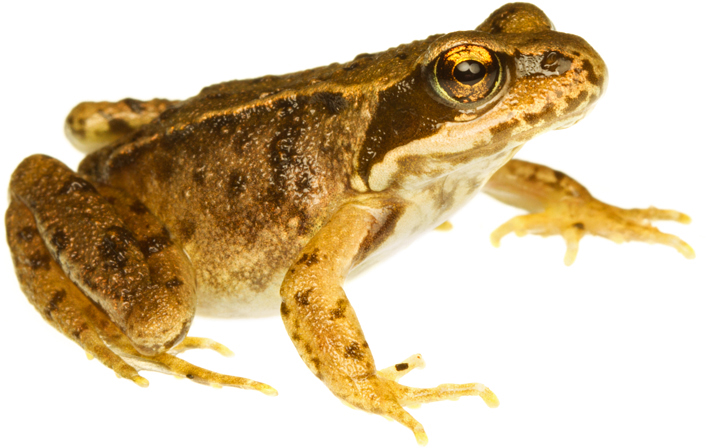 It breeds in wetlands in northern parts of Europe and Asia. The global population is in the region of 210,000-250,000, with the vast majority nesting in Russia and Scandinavia. This entry was posted in Animals, Asia, Birds, Europe and tagged Asia, Eurasian, Europe, Gruidae, Russia, Scandinavia on June 4, 2012 by Naturalist.